Twill cap in black. 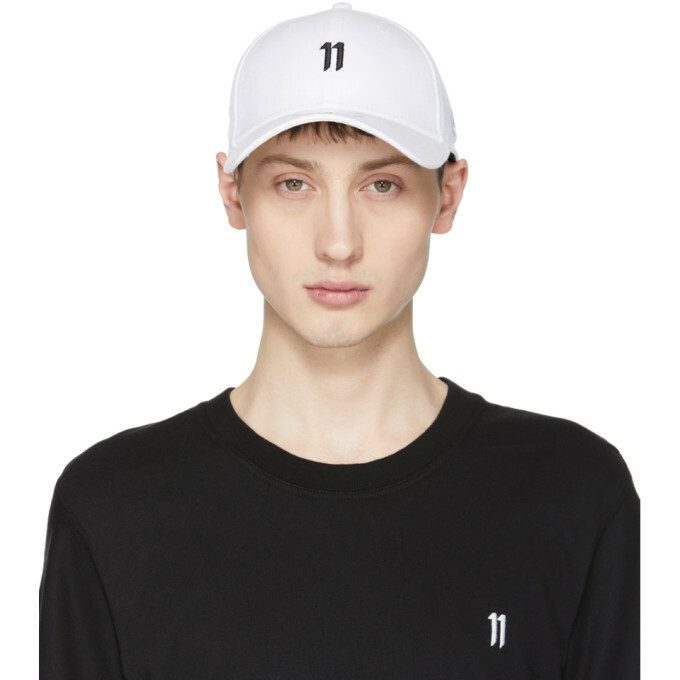 Tonal logo embroidered at brim, face, side, and back face. Signature cord accent at side. Eyelet vents at crown. Snapback fastening. Tonal hardware. Tonal stitching.Part of the 11 by Boris Bidjan Saberi x New Era collaboration. Twill cap in black. Eyelet vents at crown. 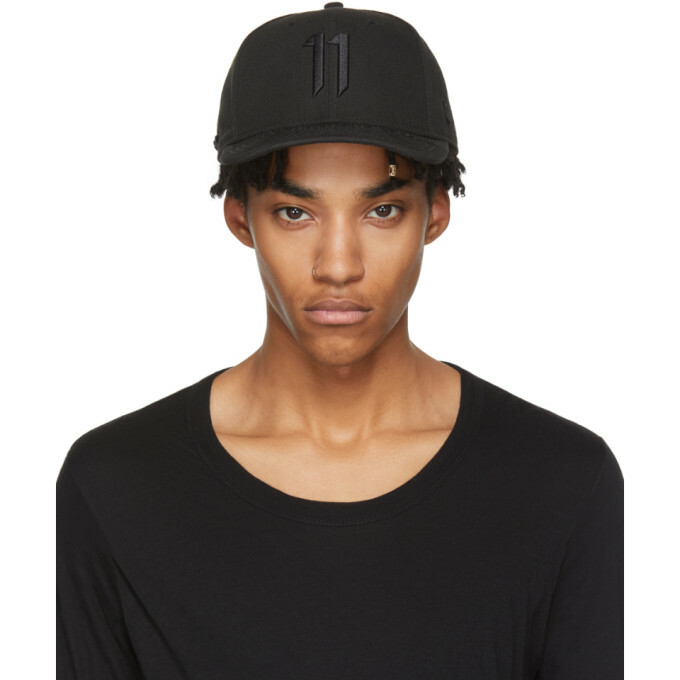 Tonal logo embroidered at face, flat brim, side, and back face. Signature cord trim and snapback fastening at back. 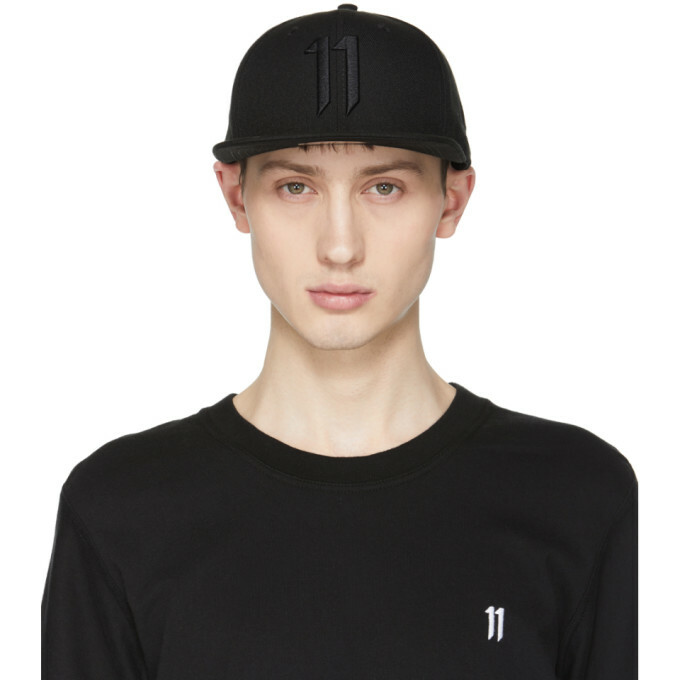 Tonal stitching.Part of the 11 by Boris Bidjan Saberi x New Era collaboration. Canvas cap in black. Eyelet vents at crown. Curved brim. Perforated logo, white embroidered logo, and signature white cord trim at sides. Cinch fastening at back. Tonal hardware. Tonal stitching. Part of the 11 by Boris Bidjan Saberi x New Era collaboration. Twill cap in white. Eyelet vents at crown. Logo embroidered in black at face and back face. Curved brim. Tonal logo embroidered at side. Signature cord trim at back. 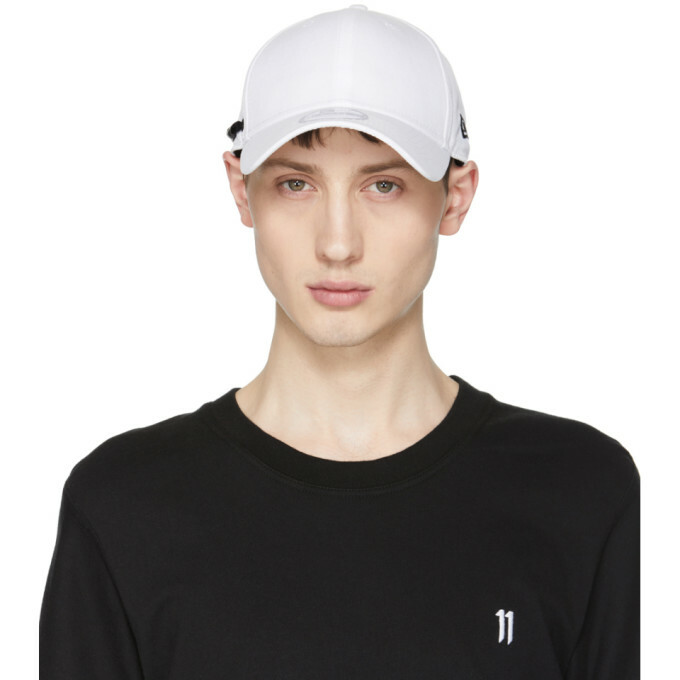 Tonal stitching.Part of the 11 by Boris Bidjan Saberi x New Era collaboration. Canvas cap in white. Eyelet vents at crown. Curved brim. Perforated logo, black embroidered logo, and signature black cord trim at side. Cinch fastening at back. Tonal hardware. Tonal stitching. 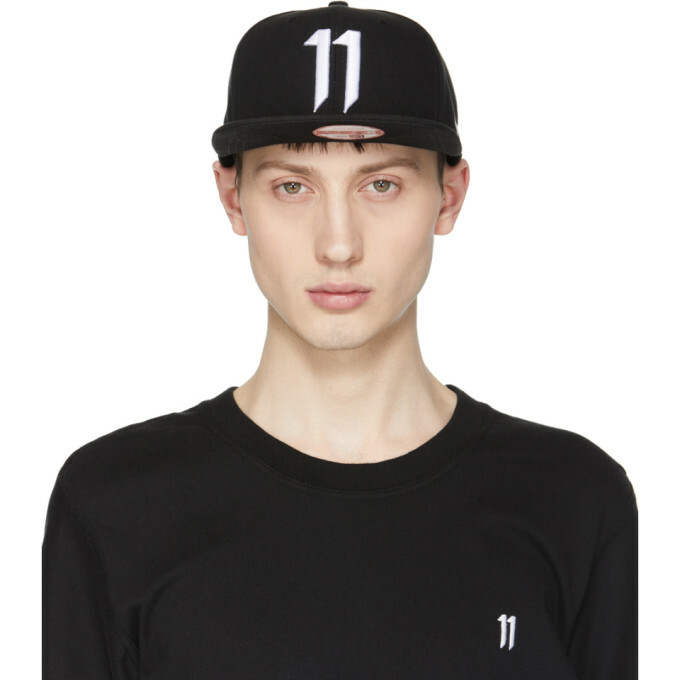 Part of the 11 by Boris Bidjan Saberi x New Era collaboration. Cotton twill cap in black. 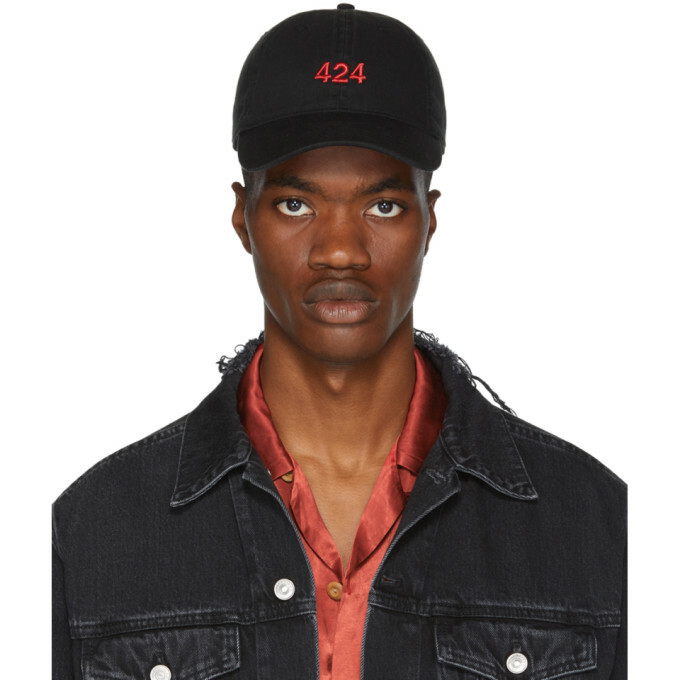 Logo embroidered in red at face. Perforated detailing at crown. Adjustable cinch fastening at back. Tonal stitching.